Hundreds of passengers trying to fly to Guernsey were stranded in Jersey and the UK overnight. 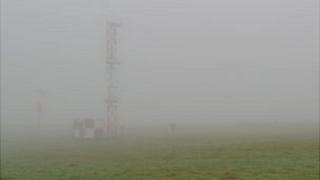 Thick fog over the Bailiwick on Wednesday caused disruption and flights were either delayed or cancelled. Guernsey Airport director Colin Le Ray said the airport would stay open late on Thursday to clear the backlog of passengers. He said the re-installation of an instrument landing system before the end of the week would also help. The system, which helps pilots land in low visibility, had to be removed to allow the runway to be moved 120m west. Mr Le Ray said: "We are unfortunately hostages to the weather but we will do everything we can to get us back up to where we are meant to be so we can clear passengers before Christmas." Flights to and from Alderney airport were also affected.